Considering how it's technically already Fall, but still too hot to be wearing real Fall attire, I thought this would be the perfect alternative. I love that this dress incorporates the colors of this season but it's still adequate for this weather. Seriously cannot wait until it gets cooler and I can bring out all the cozy knits and booties! Hope you all have a great weekend and thanks for stopping by. Can we just acknowledge the fact that Fall is officially less than two weeks away?! Seriously my favorite season ever, I'm so excited to be able to live in Uggs and leggings again. 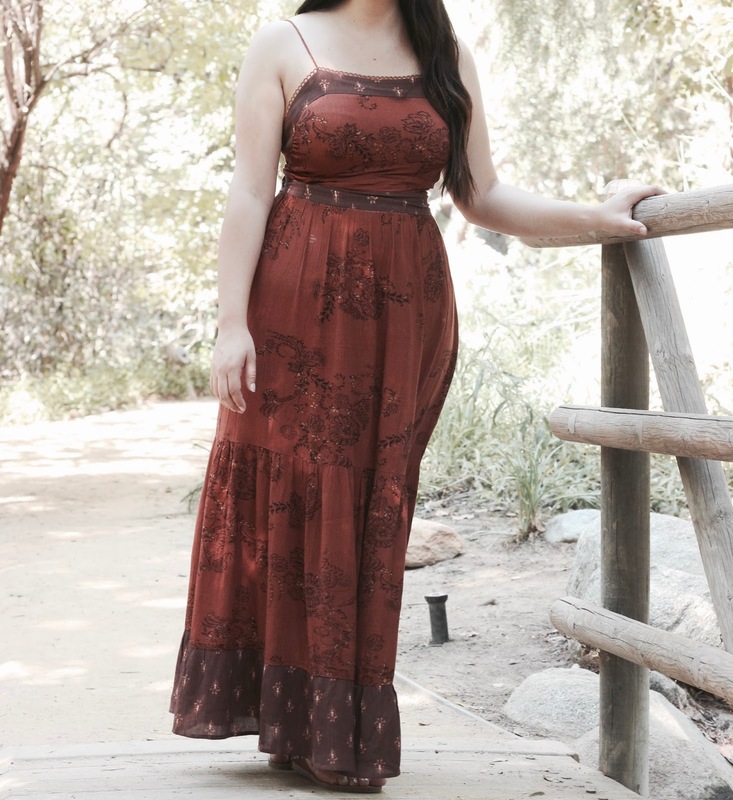 On to my look, I really loved shooting this dress, from the location to the flattering effect, to the color, it's the perfect way to transition into Fall.